DAVID BUSCH'S CANON EOS 5D MARK III GUIDE TO DIGITAL SLR PHOTOGRAPHY is your complete reference to this exciting new full-frame camera from Canon, the much-anticipated update to Canon's 5D Mark II model. Among the Mark III's many exciting features are built-in high dynamic range (HDR) capabilities, faster continuous shooting, ISO up to 102,400, new exposure and autofocus sensors, and advanced HDTV video. 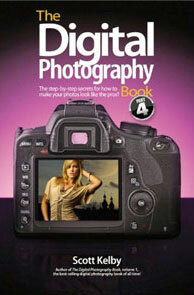 With this book in hand, you will explore the world of digital photography, learn to flex your creativity, and take great photographs. 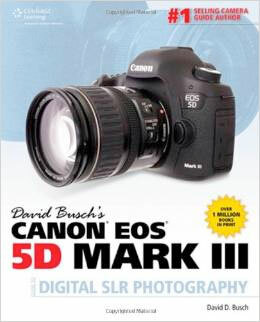 With clear how-to steps and full-color illustrations, DAVID BUSCH'S CANON EOS 5D MARK III GUIDE TO DIGITAL SLR PHOTOGRAPHY covers all the features of this powerful camera in depth, from taking your first photos through advanced details of setup, exposure, lenses, lighting, and more, and relates each feature to specific photographic techniques and situations. 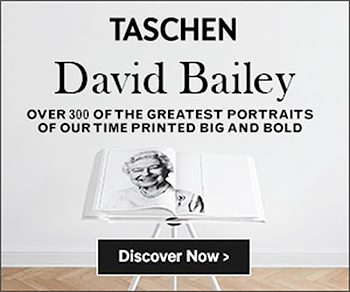 With David Busch as your guide, you'll be in full creative control, whether you're shooting on the job, as an advanced hobbyist, or are just out for fun. Start building your knowledge, creativity, and confidence with the Canon EOS 5D Mark III today.  Portfolios have always been artists' most valuable tools for communicating their talents to the outside world, whether to potential employers or galleries or clients. But the days of sketches and slides have given way to arrangements of digital assets that are both simpler and more complex than their traditional analog counterparts. 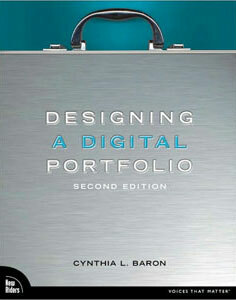 Instructor and design professional Cynthia Baron covers all the facets that artists need to know, from choosing the best work for a particular audience to using various file formats to organizing, designing, and presenting the portfolio. Beautiful full-color illustrations demonstrate her instructions, and case studies throughout portray examples of attractive and effective portfolio design. This book gives artists at any level a creative edge, ensuring that their portfolios get noticed and help them stand out from the crowd. Here is the most up-to-date, comprehensive, and authoritative reference guide available in the rapidly developing and constantly expanding area of digital imaging. 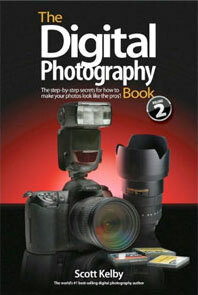 Easily accessible for the amateur, yet technical and detailed enough for a professional photographer, this reference features over 2,100 in-depth entries and is packed with cross-references, multiple levels of word entry, and dozens of sidebars offering additional explanations and useful information. 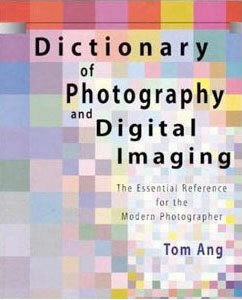 For aspiring photographers, graphic artists, professional photographers, and anyone else concerned with capturing images and using digital technology to scan, manipulate, and publish them, this dictionary is an essential addition to the bookshelf. If you’re a photographer looking for new ways to personalize your work or a digital artist who’s ready to take your work to the next level, you’ll find all of the tools, techniques, and inspiration you need in this book. Lhotka’s enthusiasm for experimenting with unusual printing materials and processes has led her to create new and amazing transfer techniques, including one that resembles a Polaroid™ transfer on steroids. She also shows you how to make prints using unexpected, everyday materials such as hand sanitizer and gelatin. You’ll even learn direct printing, the technique for sending your custom substrate through your printer almost as if it were paper. In Digital Alchemy, you’ll learn how to: Transfer images to metal, wood, plastic, and other materials that will not feed through an inkjet printer. Print directly on metal for a fraction of the cost of using a print service. Simulate a print from an expensive UV flatbed printer using an inexpensive desktop printer. Use carrier sheets and paintable precoats to print on almost any surface. Achieve near-lithographic quality digital prints with transfer processes to uncoated fine art paper. 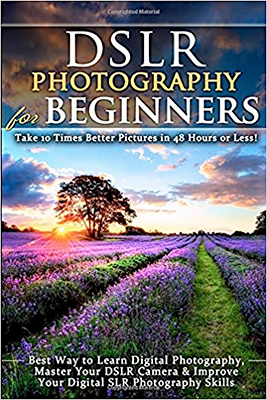 Providing readers with a study of learning how to turn poorly lit images into finely crafted, masterfully lit photographs, this guidebook instills photographers with the self-confidence to think on their feet and photograph any portrait subject anywhere. Acclaimed photographer Neil van Niekirk presents seven distinctly different lighting scenarios—available light, exposure metering, a touch of flash, bounced on-camera flash, off-camera flash, video light, and hard sunlight—to show readers how to manipulate the direction and quality of light, the subject’s and photographer’s position, and numerous other variables so as to turn a bad image into a stunning, professional-level portrait. Packed with dozens of instructional, full-color photos, this work also features 10 sample photo sessions, allowing readers the opportunity to see the seven lighting scenarios put to practice. Stunning Digital Photography is much more than a book; it's a hands-on, self-paced photography class with over 9 hours of online training videos and free help from the author and other readers. 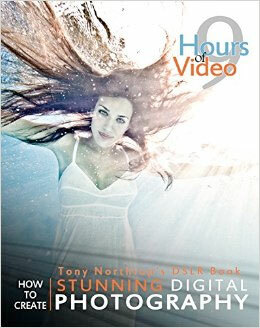 That's why award-winning author and photographer Tony Northrup's book is the #1 photography e-book with over 100,000 readers. 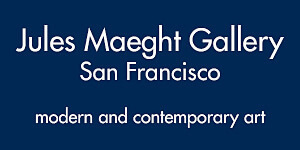 Cataloging everything from historic photographic processes to the latest advances in digital technology, this reference contains nearly 5,000 entries explaining the terms and techniques of photography. 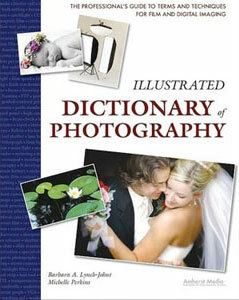 An ideal sourcebook for anyone with an interest in photography, entries include words associated with shooting techniques, digital imaging terms, specialized photographic subgenres, the science of photography, and notable photographers. 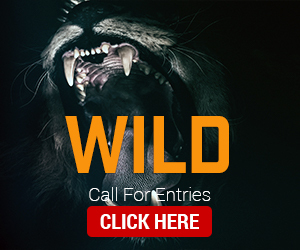 Each entry blends ample cross-references with detailed explanations to provide both professional photographers and amateur photo enthusiasts with an essential resource. Shooting in the raw format gives digital photographers complete control over every aspect of image quality. The Digital Negative: Raw Image Processing in Lightroom, Camera Raw, and Photoshop is devoted exclusively to the topic and shows you how to make the most of that control. Now that raw image processing technology has matured as an essential aspect of digital photography, you need a modern book that takes a seasoned approach to the technology and explains the advantages and challenges of using Lightroom or Camera Raw to produce magnificent images. 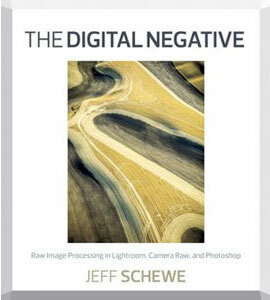 Renowned photographer and bestselling author Jeff Schewe outlines a foolproof process for working with these digital negatives and presents his real-world expertise on optimizing raw images. You’ll also learn hands-on techniques for exposing and shooting for raw image capture and developing a raw processing workflow, as well as Photoshop techniques for perfecting the master image, converting color to black and white, and processing for panoramic and HDR images. Get the best tone and color from your digital negatives. Use Lightroom and Camera Raw sharpening controls to maximize image quality. Take advantage of Photoshop to do what Lightroom and Camera Raw can’t. Produce stunning black-and-white images. This isn't a book of theory—it isn't full of confusing jargon and detailed concepts: this is a book of which button to push, which setting to use, when to use them, and nearly two hundred of the most closely guarded photographic "tricks of the trade" to get you shooting dramatically better-looking, sharper, more colorful, more professional-looking photos with your digital camera every time you press the shutter button. 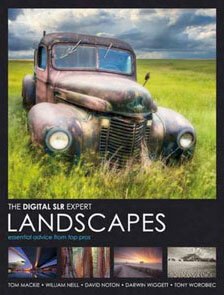 Each page covers just one trick, just one single concept that makes your photography better. Every time you turn the page, you'll learn another pro setting, another pro tool, another pro trick to transform your work from snapshots into gallery prints. 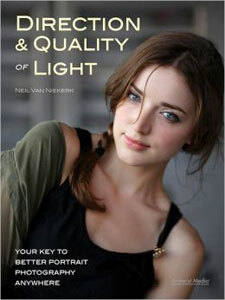 In Volume 2, Scott Kelby adds entirely new chapters packed with Plain English tips on using flash, shooting close up photography, travel photography, shooting people, and even how to build a studio from scratch, where he demystifies the process so anyone can start taking pro-quality portraits today! 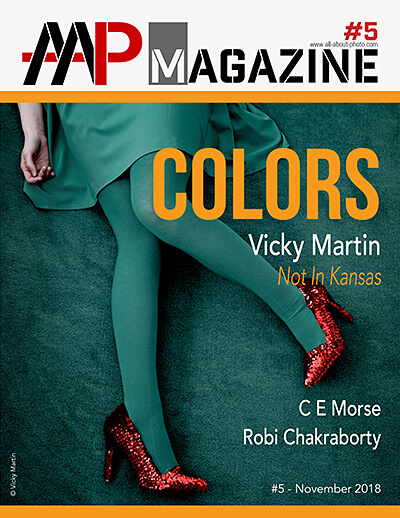 Plus, he's got full chapters on his most requested topics, including loads of tips for landscape photographers, wedding photographers, and there's an entire chapter devoted to sharing some of the pro's secrets for making your photos look more professional, no matter what you're shooting. Scott Kelby, author of The Digital Photography Book, volume 1 (the world’s best-selling digital photography book), is back with a follow-up to his volume 2 smash best seller, with an entirely new book that picks up right where he left off. It’s even more of that “Ah ha—so that’s how they do it,” straight-to-the-point, skip-the-techno-jargon stuff you can really use today to make your shots even better. Scott Kelby, author of The Digital Photography Book (the best-selling digital photography book), is back with another follow-up to his smash best-seller, with an entirely new book that picks up right where volume 3 left off. Scott Kelby, author of the top-selling digital photography book of all time, is back with an entirely new book in his popular series that picks up right where part 4 left off. It’s more of that “Ah ha—so that’s how they do it,” straight-to-the-point, skip-the-technojargon stuff you can really use today that made part 1 so successful. 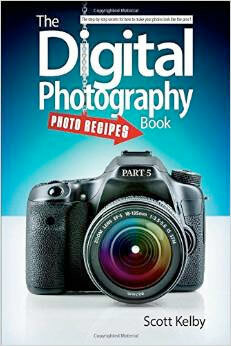 Here, in part 5, he gives you what you’ve been waiting for: an entire book of nothing but those amazing photo recipes. But, he took it up a big notch by adding a behind-the-scenes photo for every single recipe. Now you can see exactly how it was done, so you can get that exact same look every time. The work that follows the capture of a photographic image - the workflow in the digital darkroom - has a significant effect on the quality of the final image. This workflow is often underestimated and neglected, leading to weak images and poorly managed image collections. The Digital Photography Workflow Handbook will help you avoid crucial mistakes as you master the craft of photographic post-processing. 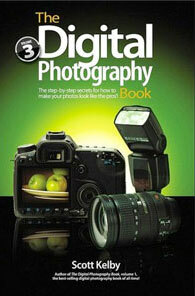 This book provides a step-by-step guide through the photographic workflow, from image capture, editing, and asset management, all the way to the perfect photographic print. 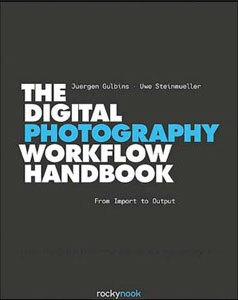 The workflow presented in this book focuses on RAW images, which will give you maximum quality and flexibility, and is based on two of the most popular and powerful software tools: Adobe Photoshop and Lightroom. 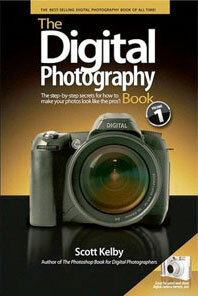 The Digital Photography Workflow Handbook can be used as a reference or textbook by both aspiring amateur and professional photographers, as well as by students. 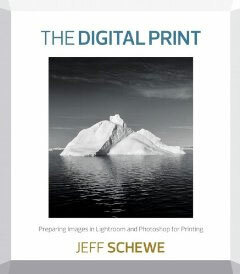 Following on the release of The Digital Negative: Raw Image Processing in Lightroom, Camera Raw, and Photoshop, the definitive and bestselling guide to integrated raw image processing, renowned photographer, educator, and author Jeff Schewe presents a targeted book on digital printing in Lightroom and Photoshop, which teaches expert techniques for optimal output and fine-art reproduction using today’s technologies. The Digital Print picks up where first book leaves off, taking the already perfected images from The Digital Negative and preparing them for printing and other forms of output. 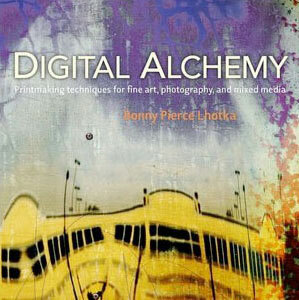 Readers will learn techniques for fine-art printing in house or sending out to a photo lab, as well as preparing images for multimedia and mobile destinations and Print on Demand (POD) books. This is the second in a two-book series that pays homage to Ansel Adams’ seminal book series The Camera, The Negative, and The Print. Each book stands alone, but the combination of the two tells the entire story from camera to print. These books are not version-specific and, thus, evergreen. Practical demonstrations, step-by-step examples and invaluable secrets from five leading professional photographers show you how to use your digital SLR to its full potential. Darwin Wiggett, David Noton, William Neill, Tom Mackie and Tony Worobiec tackle subjects key to taking great landscape images: controlling exposure; understanding light; composing shots; choosing the perfect location and working in black and white. Breathtaking photography showcases a wide variety of landscape locations from coasts to mountains, cities to countryside and deserts to forests, highlighting the versatility and full potential of digital photography.